SutureSafe bridges and supports the closure of surgical incisions dynamically, allowing a cushion of skin movement while still pulling the wound margins together with gentle appositional traction. By doing so, SutureSafe may help reduce surgical site dehiscence. SutureSafe is an alternative to static tape for areas of increased skin movement. 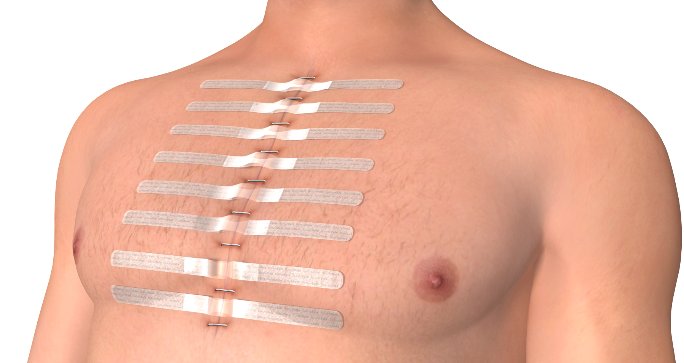 It can be placed over top of sutures and staples. The Ripstop bridge limits extension of the silicone elastomer, while the adhesive fabric tape distributes forces across a large surface area.